Would you ever do a triathlon? It’s a simple question, yet most people would not compete in a triathlon because they are scared of the swim portion. And by scared, I mean terrified. They say they don’t know how to swim or couldn’t possibly swim the length that is required. 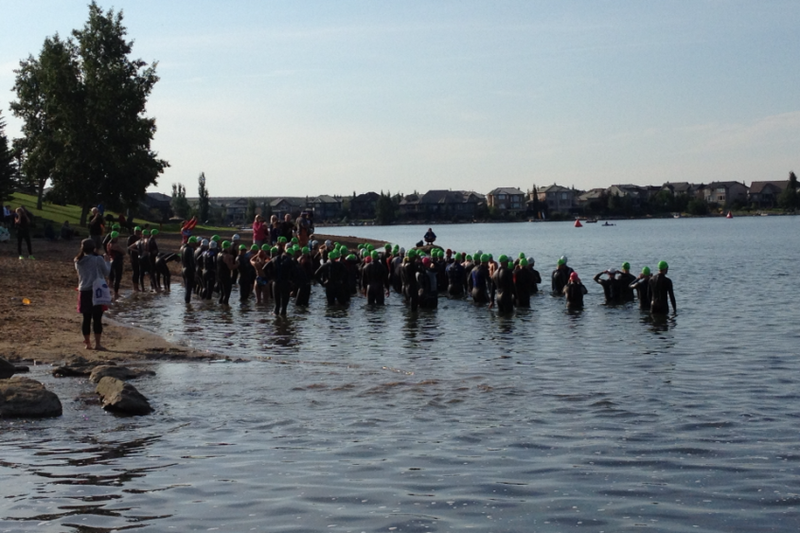 The swim is generally regarded as the hardest part of the tri for most people. And it’s easy to see why: Swimming is the most technique-oriented sport of the trio & most people aren’t naturally great swimmers. So rest assured, you are not alone. These objections were what I initially thought, until I decided to do something about it. I resolved I would not let this fear keep me from competing in a triathlon. What did I do? I got a pass to the U of C pool and swam LOTS (the majority of my tri training consisted of swimming), got a swim coach, looked at swimming videos on YouTube and analyzed the best swimmers in the world (I.e. Michael Phelps & other elite Olympian’s) to see how the swim is supposed to look and tried to emulate their form each time I was in the water. To answer these swim objections for a tri race, there are 2 options: In the pool or open-water. I would advise starting off in a pool for your first triathlon and if you enjoyed it, then do an open-water swim for your second tri. That’s what I did & it worked out great. “I swim in the sea of silver light. I cycle along the road of gold delight. Last summer, I went travelling around Europe after finishing my post-secondary education. This summer, I’ll be competing in my 1st triathlon. I’m all signed up & ready to go! The race is on May 19th, 2013 and will be at the Genesis Place in Airdrie. I thought I would share about my journey as I train for this triathlon (tri) and invite those who are interested to come along for the ride – no pun intended! Leading up to the event, I plan on posting other updates, including: Planning for a Tri, What I’m learning, and possibly other topics as they come up. 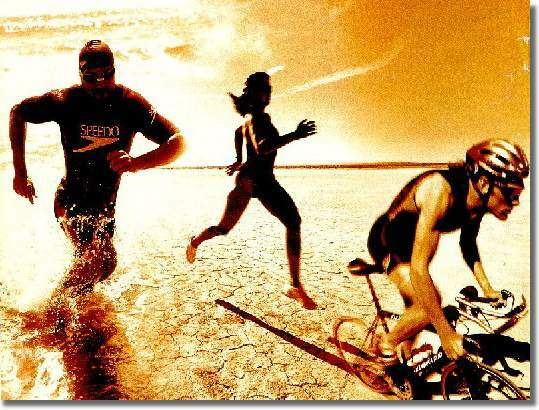 To begin with, a triathlon consists of: Swimming, biking, and running (in that order). So, there are actually 5 parts of a triathlon (with each part being timed): Swim, T1, bike, T2, run. I’ll be doing the Sprint tri distance. See the chart below for the distances in each type of triathlon. 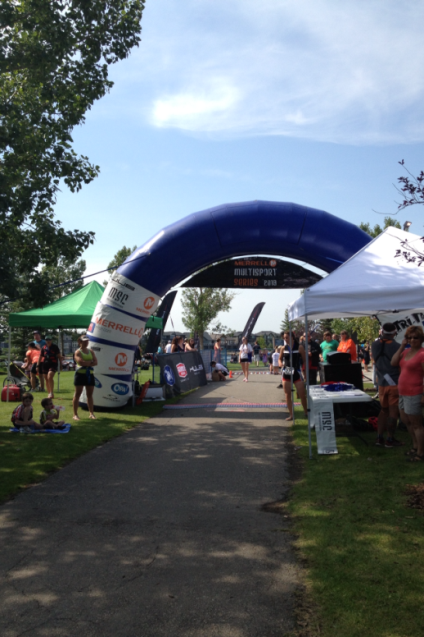 *Check out Alberta Triathlon Association & Total Triathlon for more info. In Part II, I’ll talk more about “Planning for a Tri”, so be sure to come back!